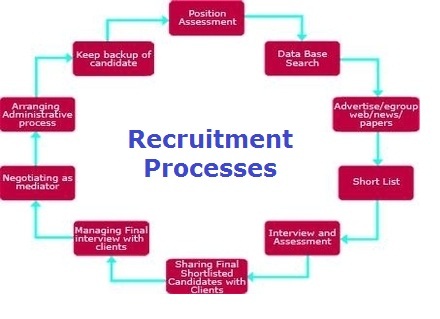 Recruitment Process – HR Recruitment – Recruitment Process Analysis – Recruitment Process Framework – A standard recruitment process within an organization allows for an effective and efficient hiring of candidates including employee onboarding. Hiring of individuals and broader talent management are key parts of company’s HR strategy. Recruitment Process - this diagram visually depicts one of the common business frameworks, used by leaders to develop company strategy, tactics, models and approaches in an effort to enhance operations, marketing, develop new products and improve company competitive position..